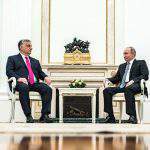 Hungary appreciates its relations with Russia and both countries “have an interest in maximising shared achievements”, Prime Minister Viktor Orbán said after talks with Russian President Vladimir Putin in Moscow on Tuesday. 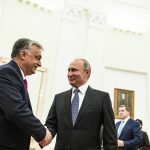 It is in Hungary’s national interest that “there should be good cooperation between the two halves of Europe”, including good Hungary-Russia ties, Orbán said at a joint press conference with Putin. 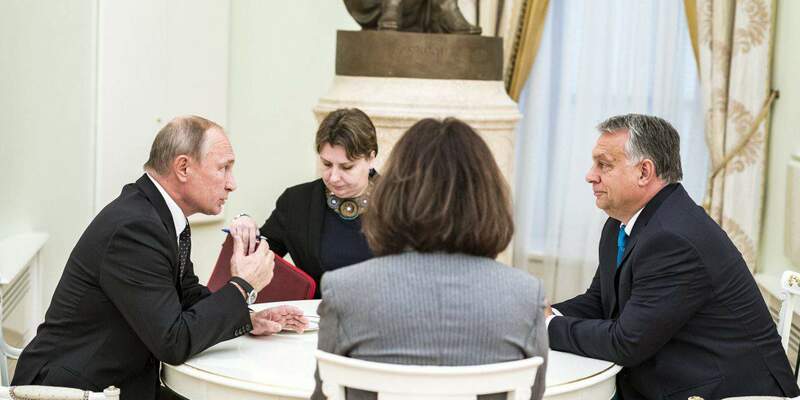 Concerning energy cooperation, Orbán said that he had made an agreement with Putin on gas supplies from Russia after 2020. He noted that Hungary would like to see the Turkish Stream gas pipeline going through Hungary, and asked Putin to support those plans. On the subject of the Paks upgrade Orbán said that the project was being implemented in a timely manner and necessary adjustments were being made. 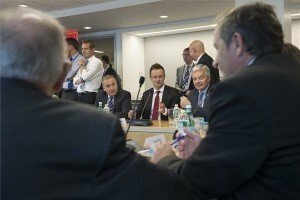 Answering a question, Orbán said that 35-40 percent of Hungary’s electricity was produced by the Paks plant, and next to solar energy nuclear energy should retain a dominant role in the country’s electric supplies in the long run. He noted “difficulties, technical issues” in the implementation of the project, and referred to “the bureaucratic practices of the European Union so far unknown to Russia”, but voiced confidence and said that “we will make it (the upgrade project) and this will benefit not only Hungary-Russia ties but it will also modernise energy policy links between Russia and Europe”. 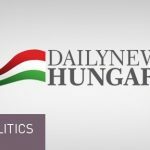 The importance of the project “goes far beyond Hungary” that is why “it has elicited so much curiosity, that is why there are many opponents and many supporters”, the prime minister said. On another subject Orbán said that economic and financial ties were good in farming, energy, as well as pharmaceutical production. He noted that Hungary’s OTP bank employed some 5,000 people in Russia, and asked Putin to make efforts to broaden financial cooperation. 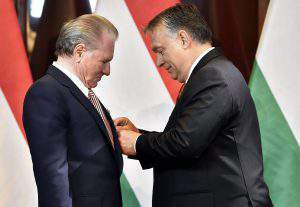 He added that Budapest was ready to host the headquarters of the International Investment Bank, of which Hungary is the third largest shareholder. Orbán also urged that a direct flight should be launched between Budapest and Kazan. 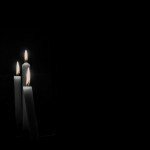 The prime minister said that Hungary and Russia were taking joint action to help persecuted Christians in other parts of the world. 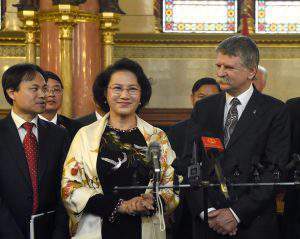 “Both of us think that preserving and strengthening Christian culture is important for the modern world,” he said. Putin told the press conference that a future branch of the extended Turkish Stream pipeline could cross Hungary. Russian gas transit to Europe already crosses Hungary where gas reservoirs ensure reliable and uninterrupted supply to European consumers even in peak periods, Putin said. “We are examining the possibility of connecting our Hungarian partners with the new routes of transporting Russian gas to Europe. I do not exclude that a land extension of the Turkish Stream pipeline could be built crossing Hungary,” he added. Under a joint initiative with Orbán, an inter-governmental committee will be set up to coordinate bilateral regional cooperation and it will hold its founding meeting before the end of this year, he said. "Relations have seen a marked #progress in #finance, #agriculture, #healthcare and #energy"
PreviousThe whole world admires the Hungarian wonder-horse!